Check Your Tickets! Did You Win $40,000,000 SuperLotto Plus Jackpot? A SuperLotto Plus player bought a ticket that is now worth $40 million - Saturday's SuperLotto Plus jackpot prize. The winner who has not yet been identifies is known to have bought the ticket in California on the day of the draw and his ticket was the lucky jackpot winner. The numbers drawn are 4, 17, 21, 37 and 44 and the Mega number is 17. Lottery officials stated that winners must sign the back of their winning ticket with a pen and keep it in a safe place until they claim their prize. A divorced dad from Louisville, Ky., whose unemployment dues were about to become depleted, made a decision to gamble on the Powerball jackpot of $294.8 million. According to him, his bet paid off! 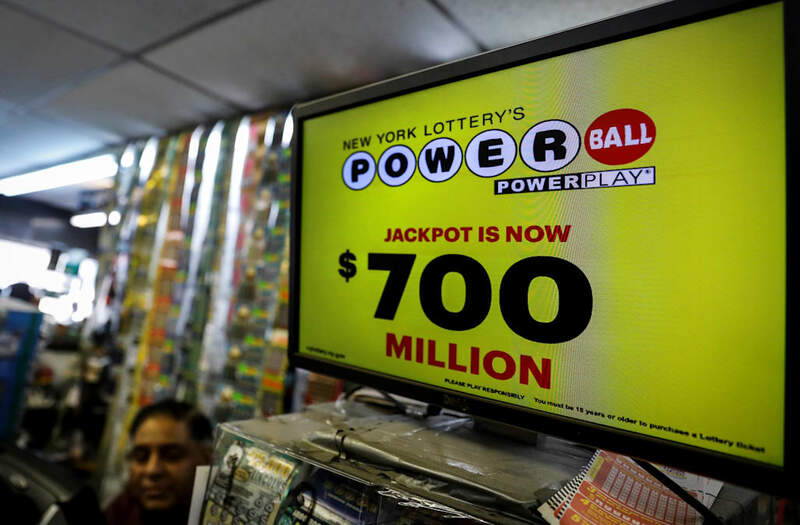 Forty-six year old David Edwards stated that one among the eight tickets he purchased around 1½ hours, prior to the drawing on Saturday night was among the four that matched the drawing for Powerball. ‘I told myself that I stood to gain more than I would lose,’ stated Edwards on Sunday in a statement to The Daily Independent of Ashland, Ky.
Officials of Kentucky Lottery refused to verify their state winner’s name but confirmed that it was a male who had a discussion on phone on Sunday, with the lottery president. In Delaware, New Hampshire and Minnesota, winning tickets were sold also; however, by Sunday, winners had not revealed themselves. In Des Moines, Iowa, the winning numbers that were drawn on Saturday night were 8, 17, 22, 42 & 47 as well as 21, which is the Powerball number. According to Edwards, before Saturday he had stayed for months without playing the lottery, as he was unable to afford the tickets. However, since the jackpot was heading to $300 million, he made a decision to try his luck. 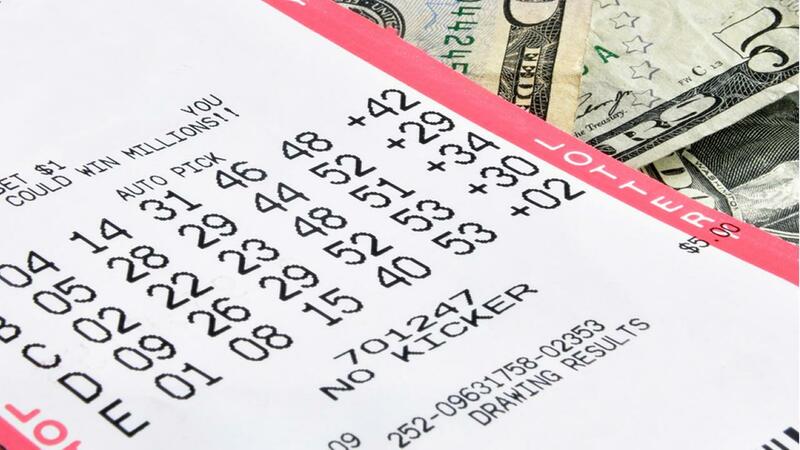 According to him, he purchased the winning ticket at Clark’s Pup N Shop on Saturday night, around 100 yards from his Ashland home, to the northeast of Kentucky. Officials of the lottery verified that a winning ticket had been sold and certified by Clark’s. Edwards, who frequented Clark’s went back to the store on Sunday morning and was there the whole day talking to news reporters, said Melanie Wells, the store manager on Sunday. According to Edwards, he had of late been laid off from his work of fiber optics and required back surgery. He stated that once his unemployment benefits ran out, he had no clue what action he would take. According to Edwards, he had bought chances worth $8; one for himself and one for his fiancée. For his initial four plays, he utilized birthdays as well as other important numbers. He decided to attempt something different on his fifth one. ‘I told myself I would examine the numbers and select the initial ones which come to mind,’ he remarked. He was taking a drive on Sunday with his fiancée in a Mercedes-Benz that a friend had lent to him to drive until he acquired his own. On Sunday, the Associated Press realized that Edward’s home phone was disconnected. The game’s jackpot, which was played in District of Columbia and 21 states, was the second hugest in the history of Powerball. In Ohio, a group of factory employees divided a prize of $295 million in 1998. The world’s winners of the hugest lottery ever have at last presented themselves to claim their ticket. 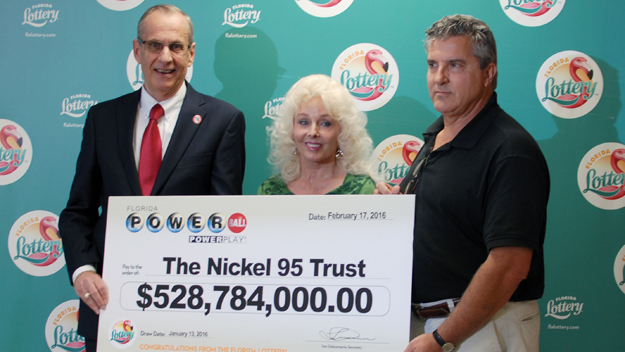 This was more than one month following the Powerball jackpot of $1.5 billion win in America. David Kaltschmidt and Maureen Smith his wife became winners of a jackpot share of $528.7 million (£370m) and shared their winnings with John and Lisa Robinson. They bought the ticket that won in Tennessee. A winner from California has not come forward yet. The Florida couple disclosed their win on Wednesday at a press conference and said they had not informed their kids yet. Mr. Kaltschmidt stated that they would not party, but lead their lives as before. He stated that he would retire from his mechanical engineer work and purchase another truck, as his current one was dilapidated. ‘Rather than build airplanes, I will engage in charity work, investments and tax strategies,’ he said. Ms. Smith said she was eager to go for a massage! Ms. Smith purchased the winning ticket in Melbourne, at a Publix supermarket. According to her, the numbers were the ones she normally chose, even though she rarely played. They chose to obtain the lump sum of $327.8 million instead of getting the sum of $528 million in installments. A UK resident was one of the numerous around the world who joined an online Online Lottery website and began playing Powerball online. He realized his dream of becoming a lucky winner on 21 April 2012 when he won the second place winner of $1 million. He bought his winning ticket using a Subscription entry that instantly entered him in the thrilling biweekly draws for Powerball. Relying on luck, he utilized the Quick Pick option that selected numbers for him randomly. He would latter be grateful for this decision, since five draws afterwards, these digits made him a millionaire! SuperLotto Plus game is provided just in California state. It is similar to Mega Millions. This game’s drawing is carried out at 7:45 pm on Wednesdays and Saturdays. You need to select five figures from a group of 1-47 and a single MEGA figure from 1-27. $7 million is SuperLotto Plus’ starting jackpot, which continuously rises until the emergence of a winner. This game costs $1. You can use similar ticket to play up to 20 successive drawing dates. Lotteries for SuperLotto have been customarily played by purchasing tickets from a retail shop, then scratching to show the lottery figures. But, the Internet is altering how California SuperLotto plus is played, as nowadays, California SuperLotto Plus can be played online. Mega Number for California SuperLottoPlus Mega Number presents an extra number, which you obtain after purchasing your ticket (s). It consists of a figure between 1 & 27. Winning California SuperLottoPlus occurs after the holder of the ticket matches each of the six winning figures. The quantity of cash that you win is determined by the quantity of figures you match. Apart from Mega Number for California SuperLottoPlus, the rest of the five figures consist of figures between 1 & 47. The present jackpot is $44,000,000. 2. A formal lottery ticket will be bought by the website on your behalf. 3. When the ticket is bought, the website shall scan the ticket. It will then be mailed to you on an online account that is secure. 4. Apart from the ticket being mailed to you, notification emails will be sent by the website directly to your inbox, for instance, winning notifications. Five players are each given a chance by California SuperLotto to win a $15,000 prize in addition to a chance to win on 2nd Chance drawing. California SuperLotto Plus players can provide codes even 500 times, in one month. The odds of becoming a winner of SuperLotto plus is determined by the quantity of entries obtained and also the quantity entries a player makes. Just one winning prize is going to guarantee a draw. So, it is not possible for players to become winners of several prizes in one draw. Players need to be 18 years old or more, prior to taking part in lottery for California SuperLotto Plus. Players who desire to take part in drawing for 2nd Chance need to get registered on the website of the lottery. Lottery for California SuperLotto Plus will choose winners randomly every week, according to the entries that qualify. Winners’ names shall be posted on the website of the lottery. The winner will be required to present a Claim Form to claim winnings, according to processes indicated in the rules and regulations for the lottery. 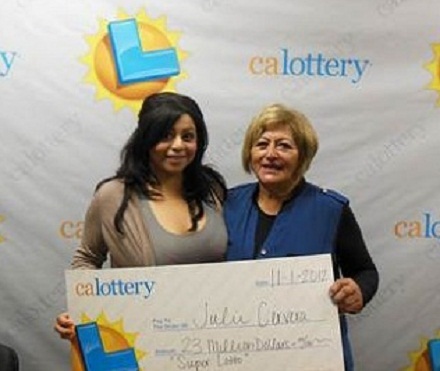 When you play California SuperLotto Plus, you have an opportunity of being a winner of the jackpot! California Lotto . Picture Window theme. Powered by Blogger.